A quick peek at the Eastern Conference standings reveals that the Boston Celtics have the conference's best record, but the Toronto Raptors looked like the premier team in the East on Tuesday night. 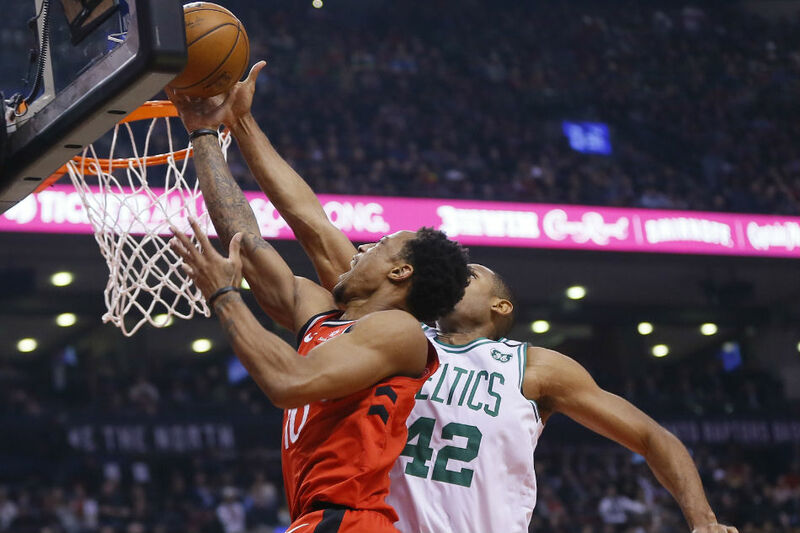 Kyle Lowry scored a game-high 23 points and CJ Miles added 20 to power the Raptors in a 111-91 blowout of the Celtics at Air Canada Centre in Toronto. The Raptors overcame 17 points from Boston's Kyrie Irving in his return from an injury. Toronto moved within one game of Boston atop the East standings with a third straight win. The Celtics had won four straight and five of six following a season-worst, four-game skid. "I think both of (these) franchises have been focused on winning championships, so a game in February is not going to make or break anybody's season," Toronto's Fred VanVleet said after the pregame shootaround. "But obviously when you get a 1-2 matchup, you want to go out there and put your best foot forward." VanVleet finished with 10 points and a team-high eight assists. Lowry grabbed eight rebounds while DeMar DeRozan added 15 points and Delon Wright had 14 for the Raptors. Irving had missed three games with a right quad contusion. Terry Rozier, who had started in place of Irving, paced the Celtics with 18 points and Marcus Morris had 12 in his return from a hip injury. Al Horford, the Celtics' second All-Star alongside Irving, was held to two points on 1-of-5 shooting. He pulled down six boards. Boston hung around early and trailed 22-18 after one quarter, but the Celtics were outscored 36-19 in a pivotal second quarter. The Raptors led by as many as 29 points in the contest. Boston's Aron Baynes left the game with a head injury but passed the NBA's concussion protocol to become eligible to return in the second half. Baynes finished with six points and eight boards. Toronto caps a four-game homestand Thursday against New York. Boston wraps up a quick two-game trip Thursday in Washington.